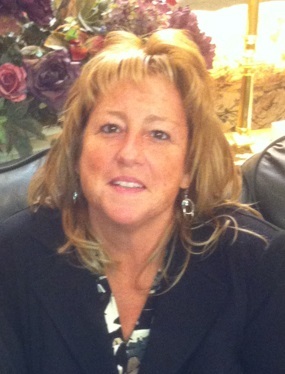 Cindy Hilden (Rolf), 55, of Virginia, beloved daughter, sister, wife, aunt, and mother, passed away peacefully Friday November 2, 2018 at Essentia Health St. Mary’s Medical Center in Duluth surrounded by her husband Steve and daughter Stephanie. Funeral services will be held at 2:00 pm on Friday November 9th, 2018 at Range Funeral Home in Virginia. Visitation will be one hour prior to the service. Arrangements are with Range Funeral Home in Virginia. To sign the online guest book or to send condolences, please visit www.rangefuneralhomes.com. Cindy was born April 21, 1963 in Crookston, MN, the daughter of Byron and Betty Rolf (Petterson). She was a graduate of Virginia High School in 1981 and continued her education at Hibbing Community College. After graduating as a Dental Assistant, she began her career at Mesabi Dental, where she worked for over 25 years. She enjoyed being part of the community in such a busy dental office, and all the patients she got to know over the years. In the summer, you would most likely find her at her favorite place; a seasonal campsite at Fisherman’s Point in Hoyt Lakes, MN where she enjoyed fishing and relaxing on her pontoon. If you stopped by, she would offer you “something to eat”. She showed us love by making our favorite foods. She also enjoyed learning to kayak and swinging on her canopy swing. She spent most of her time with family, especially with her beloved fur babies – Bailey, Shorty, Willie, Finley, and grand dog Simon. They all miss her very much! She is survived by her husband Steve, daughter Stephanie (Bruce), parents Byron and Betty Rolf, brother Brad (Vickie), brother Mike (Lezlie), aunts Sophie, Ruth, Rosie (Maurice), Ilene, uncle Arlo (Gail), sister-in-laws Cheryl and Carol, brother-in-law Paul. Many beloved friends, cousins Kevin (Dee), Karen (Bob) and nieces, Lea, Lindsay, Courtney, Tori, Danielle, Allyce, Tiffany, and nephews Richie, Nick, and Andy. She loved you all! She was preceded in death by her brother Daniel Rolf, grandparents Alfred and Alice Petterson, grandparents Ernest and Ella Rolf, uncles Merle and Sonny, aunts Phyllis and Vi, sister-in-law Diane. Father-in-law Lyle, Mother-in-law Corrine (Norman) Fjosne. Goodbyes are not forever, goodbyes are not the end. They simply mean, I’ll miss you until we meet again. So sad to hear of Cindy’s passing…Sending our sympathy and our prayers. We are so sorry for your loss — Our sympathy to your family. We are truly sorry to hear about the loss of Cindy. We are sadned to hear about your wife and mother. May God Bless you and may you have hearts filled with love and fondness of the great memories shared. I’m very sorry to hear that your daughter died.